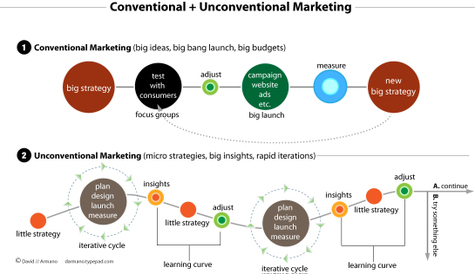 Posted by David Gillespie in branding, business strategy, strategy. There’s an obligation to be entertaining, but if all you are is in entertainment, then shame on you. He says that in relation to the compelling nature of truth in story-telling. I was saying something similar to Jules as we wandered around Sydney on Tuesday looking for a place to eat, the idea currently rattling around in my head being if our efforts for the brands and companies we work for are only as large as the products they sell, then we’re all doomed to failure. Seth spends his whole book Tribes (as well as the free three-hour audio version) banging on about this very idea – succcessful companies form around movements, and engineer their offerings to encompass a sense of belonging when you use them. Simply put, there’s an obligation to be useful, but if that’s all you are, then shame on you. Posted by David Gillespie in advertising, creativity. Posted by David Gillespie in advertising, business strategy, digital strategy, industry news, intent, philosophy, work/life. Digital strategy is a business decision, not a marketing decision. That doesn’t mean your marketing team shouldn’t be in the room, it means everyone else should be there with them. Julian Cole wrote a piece a few months back saying “Don’t trust an agency with your digital strategy.” It does then beg the question (if I may, for a moment, speak client-side) “Then whom shall I trust in your festering cesspool of sharks, narcissists and hopeless egomaniacs? A single unit needs to own a company’s strategy, and they need to be able to talk about each channel with authority. That sounds like a no-brainer I know, so I’m going to put this out there and see how it feels: you won’t find it anywhere where the last name of an ad giant from yester-year hangs their name on the front door. That isn’t because they don’t have intelligent folk from all disciplines working for them, that is because their business models and internal practices will not permit the structural changes required to achieve genuine innovation and next-generation creativity for their client’s businesses, let alone their own. If anyone is hearing that for the first time, I promise I’m not the first. I’ve been arguing for a long time now that as product, advertising, sales and service, all get closer together, advertising agencies really need to become creative marketing consultancies…some drastic restructuring needs to take place. Drastic restructuring then did take place, though perhaps not along the lines he was thinking. David Armano has talked about a move away from the silver bullet, much like Tim has. I took a personality test recently that told me I rated close to 0 when it came to perfectionism, but was a polar opposite when it came to creativity and a love of thinking. Call me biased (I won’t argue), but that sounds like something very different to where we’re currently at, and given that test it is no wonder I’m a fan of this new direction. I’m also a fan of offering substance, something advertising doesn’t do very well at all. My friend Michael Hewitt-Gleeson calls it SDNT: Start Do Notice Think. I call it intent, and when I talk about it, I talk about constanty refining the work we’re doing to ensure the outcome is matching the intent; if it isn’t we change it until it is. Intent is at the heart of everything we do, and the group that owns your strategy should have it etched onto their brains, directing nothing less than strategy that delivers the intended result tomorrow better than it did today. Starting here I’m advocating a move away from the single-minded proposition to the statement of intent; it is fluid and flexible, and it ensures the goal is forever just over the horizon. It will keep you and your organisation passionate and motivated and restless. Posted by David Gillespie in advertising, marketing, work/life. I have an obscene habit of opening tab after tab after endless tab until Firefox starts to resemble an attempt to learn about everything there ever was to know. People spend their time playing Six Degrees of Kevin Bacon, I can get you from Miami Art Basel to Dave Eggers talking about after-school-learning projects (watch that by the way, it is amazing) to NASA’s space imagery without currently needing to open any new links. I can get you there, but I can’t tell you how I myself wound up on them in the first place. Posted by David Gillespie in conversation, marketing, storytelling. So a while back I got up on a high horse (I know I know, say it isn’t so) about story-telling in advertising. 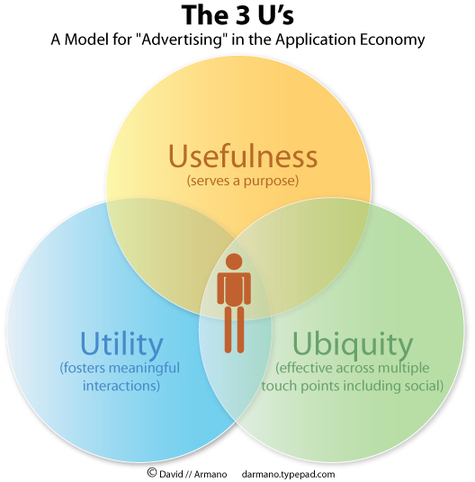 I identified the three ways stories get told in advertising, and was making a case for the third way (giving your consumers tools to tell their own stories) as being by far the most powerful. I want to get side-tracked for a second on this and look at two Dove commercials. One made by them, another made by Greenpeace. Everyone agrees (I think…) it’s a great piece of work and the conversation is continued over at The Campaign For Real Beauty which doesn’t seem to have an Australian presence but is all over Europe and the Americas. It’s a play at talking about something much bigger than the products they produce, which should really go without saying these days. Two years on and it is still a compelling piece of work. How hollow does it ring though when followed up with this: Onslaught(er)? Onslaught(er) brought such incredible public pressure to bear that Unilever, Dove’s parent company, had little choice but to work with Greenpeace to help save the very forests they had been destroying to create their product. They began a 6 month program in May of this year to work together to bring the plight of the forests in South East Asia to all companies that were destroying the forests for palm oil. So here there are two very different stories being told, one the company wants to push about its products and one someone else wants to push about the company. Admittedly the former offered up a platform for consumers to have a discussion about beauty, but when the message is re-framed with the second piece of footage, the whole exercise falls pretty flat for me. Perhaps it is a cheap or easy shot to take, but it has been repeated this month in the US with a company called Motrin whose light-hearted poke at baby slings backfired out of sight. The first move was a company telling its own story, the next was the community telling one entirely different. Anyone else have some good examples of this sort of thing? It is with great pleasure and some trepidation (along with a dash of in difference and a sense of humour) that I announce a shift of not the blog this time, but the person behind it (one of them anyway, you guys on the comments are doing brilliant work all your own). 11am on December 26th I will board a flight which will land 28 hours later in Toronto, Ontario, Canada. Actually that’s a lie, it will land 3 hours later in Auckland, New Zealand. Then it will land 12 hours later in LA before making me wait 5 hours to fly on to Toronto. But the point is, I’m moving, leaving an Australian summer for a Canadian winter, and along with it almost everyone I know on this Earth. I’d tell you al what the plan was, except that there isn’t a plan, I just woke up and needed a change, so decided to change everything. While the posting may become a little intermittent during the move, I look forward to getting it all back on board and regular when I’ve setup my North American HQ. At some point be looking for work so if you or someone you know is wanting to hire folk for their digital strategy offering, you should get in touch. You can define what you want. You can define what you don’t want. Now, those two things are not the same, and one is far more limiting than the other. Take a look at the two, odds are your natural reaction will be the same as everyone else’s. It’s unfortunate for us, but human nature is to go with the first option and be blinded by what we want, as opposed to what we don’t want. Here we have a visualisation – say the circle is the entire range of possibility. In the one on the left we’ve nailed down exactly what we want, which is shown by being coloured in. In the one on the right however, we’ve nailed down exactly what we don’t want and filled that space in. In the first diagram, the remaining space may as well not exist, because we don’t consider it. In the second, while what we want takes up slightly more space, what is left over is nothing less than a far larger opportunity for success. The next time you’re working through an issue, a brief, a life-changing decision, try focussing instead on what you’re not willing to accept, decide what you’re not willing to compromise on. Draw a line, and then revel in the opportunity left over. You might be surprised.